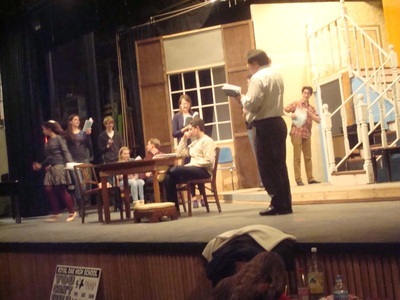 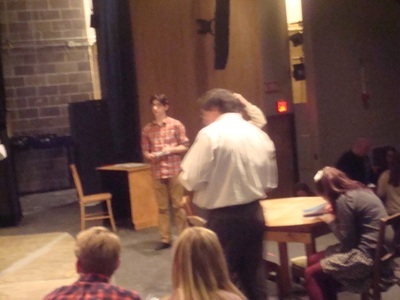 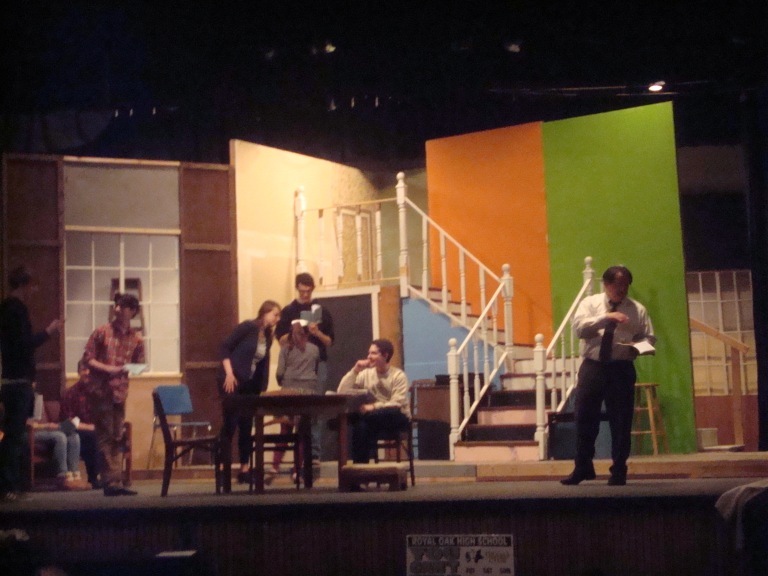 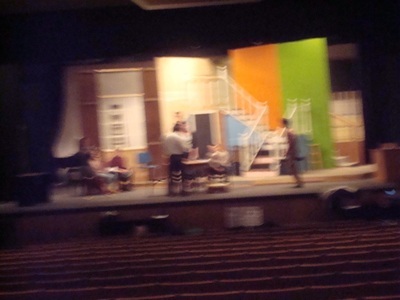 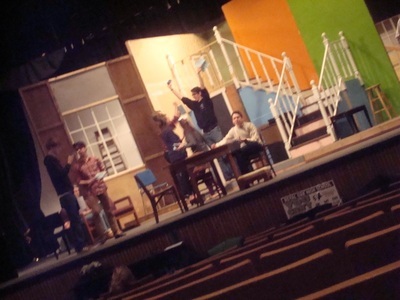 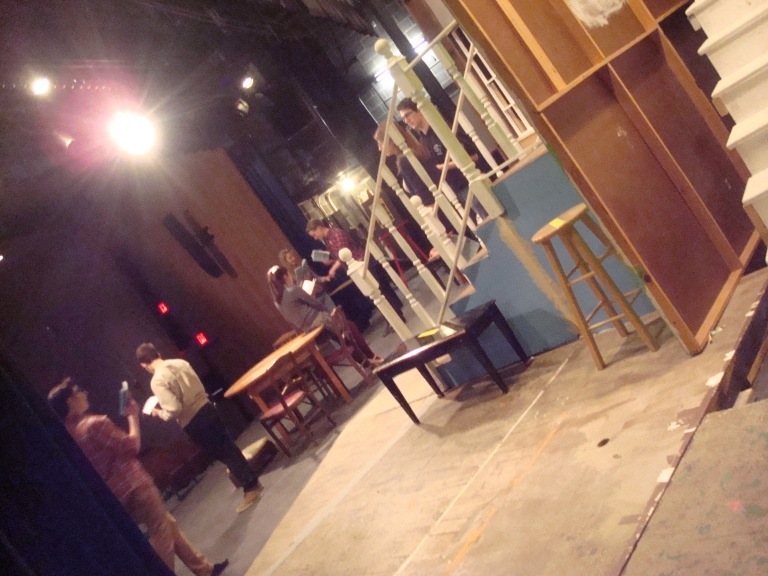 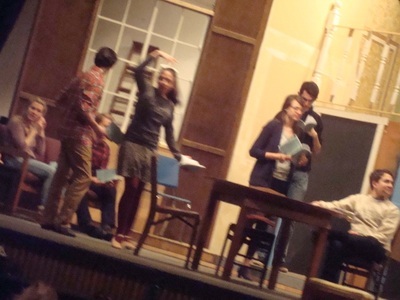 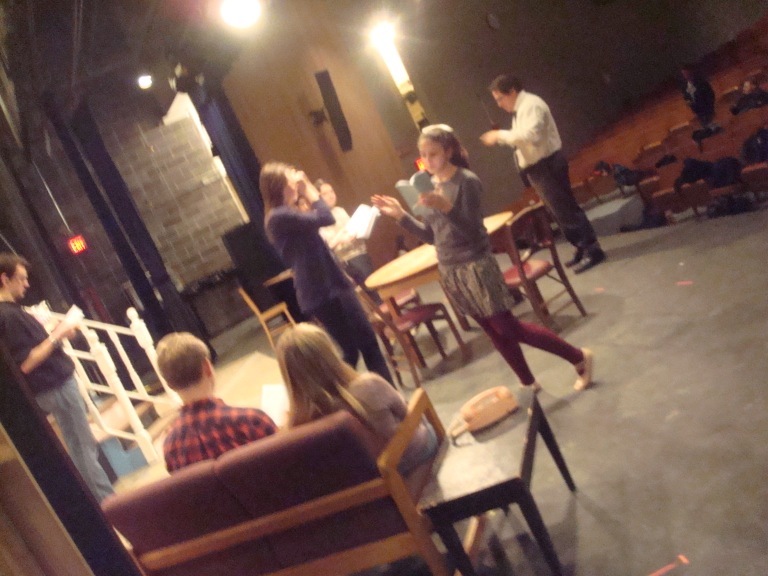 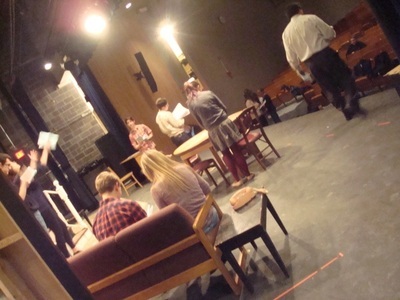 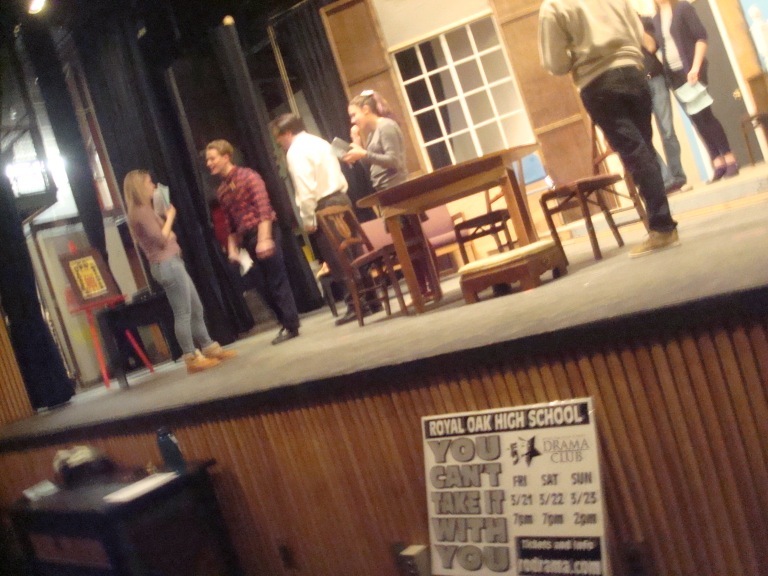 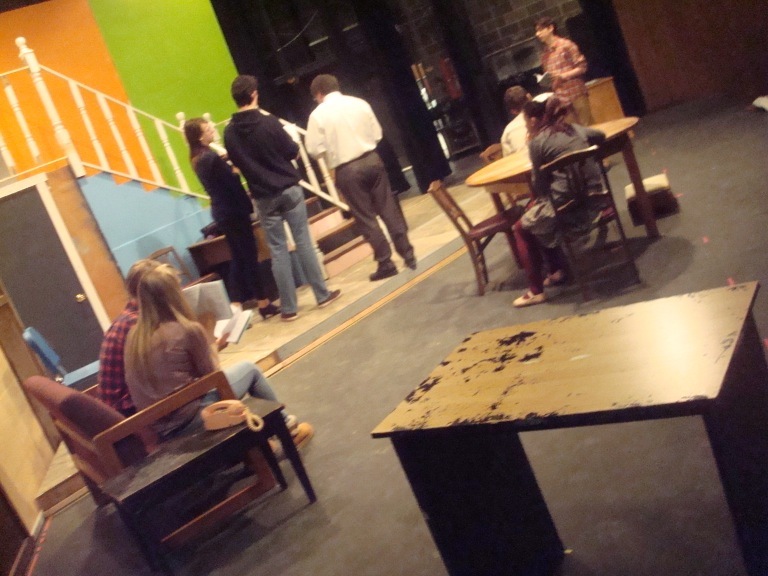 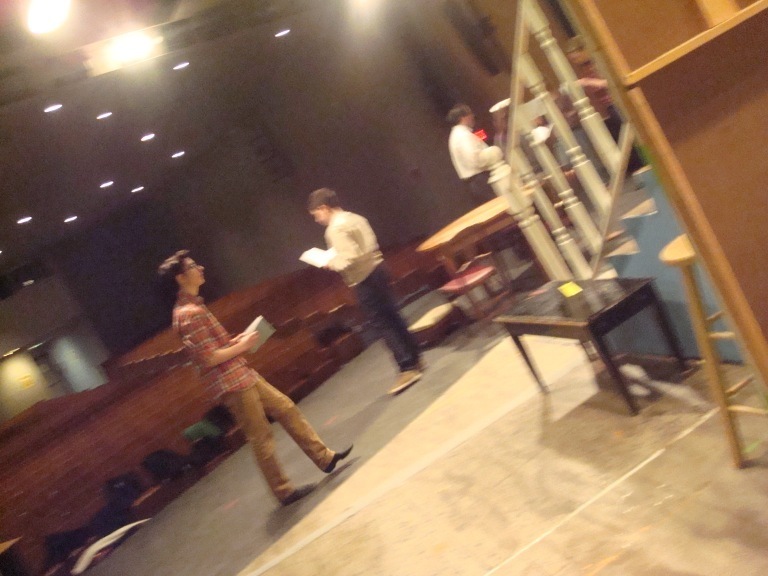 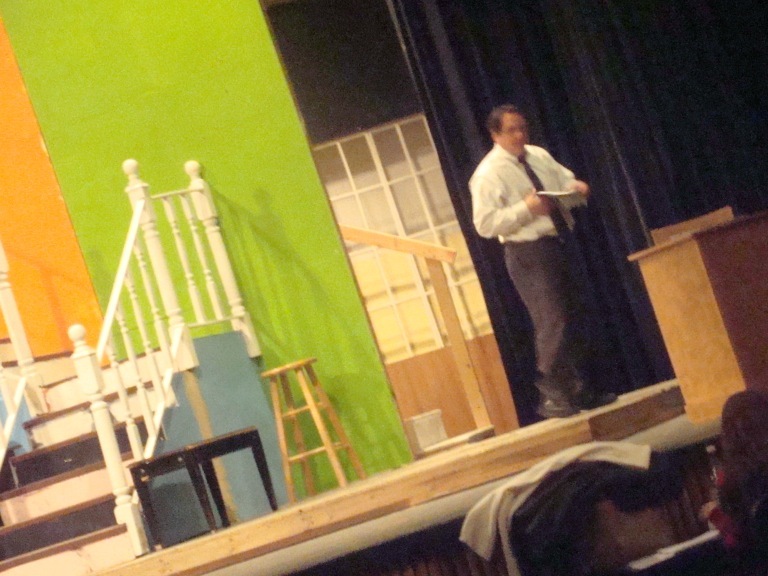 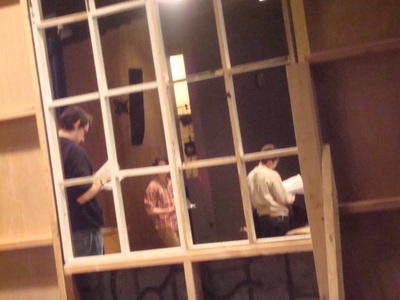 Thursday, March 6, 2014 -- Our first rehearsal with the set firmly in place. 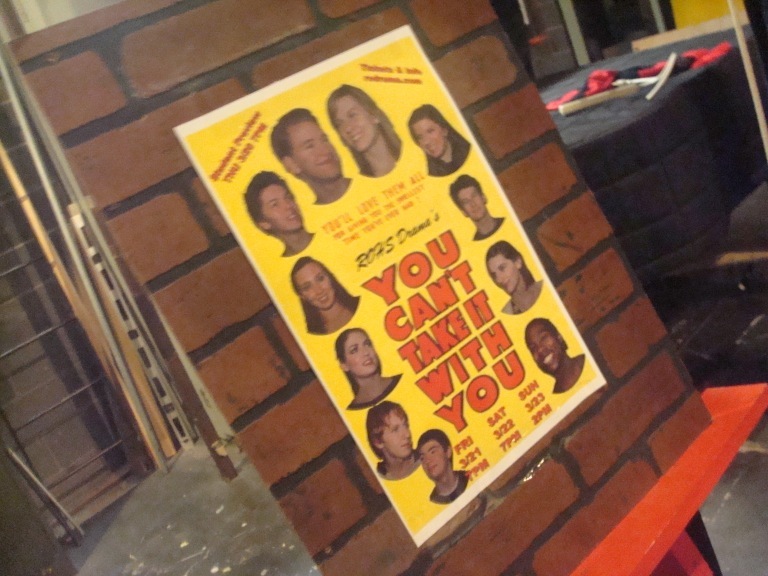 You may not recognize the set because without paint it is shows parts of Guys and Dolls, Little Women and Pride and Prejudice. Reuse and Recycle. 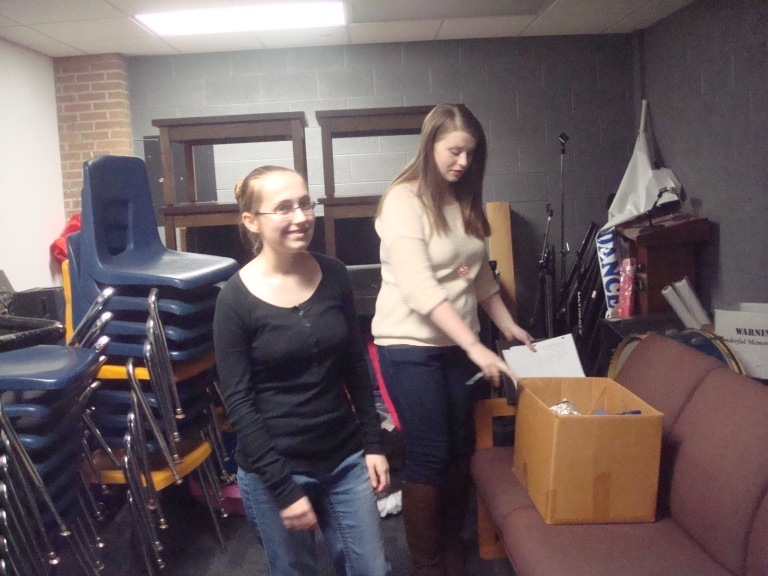 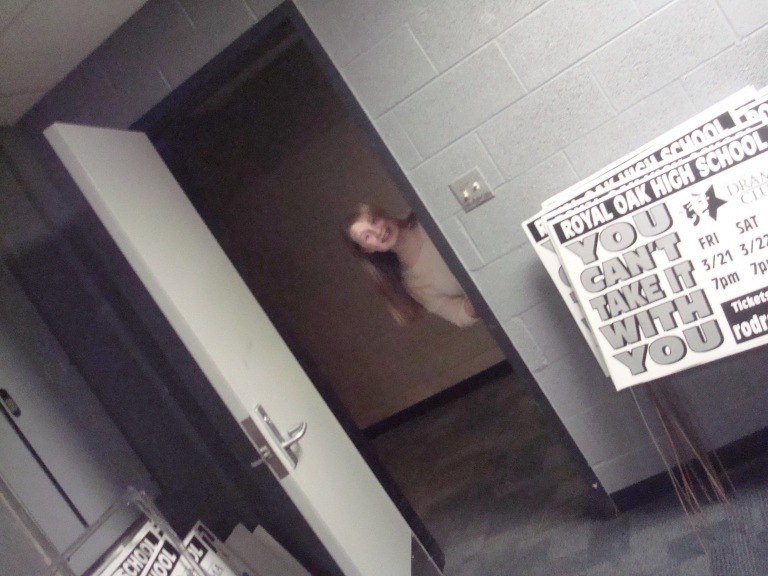 Publicity also repurposed a closet into the Publicity office!! Excitement!